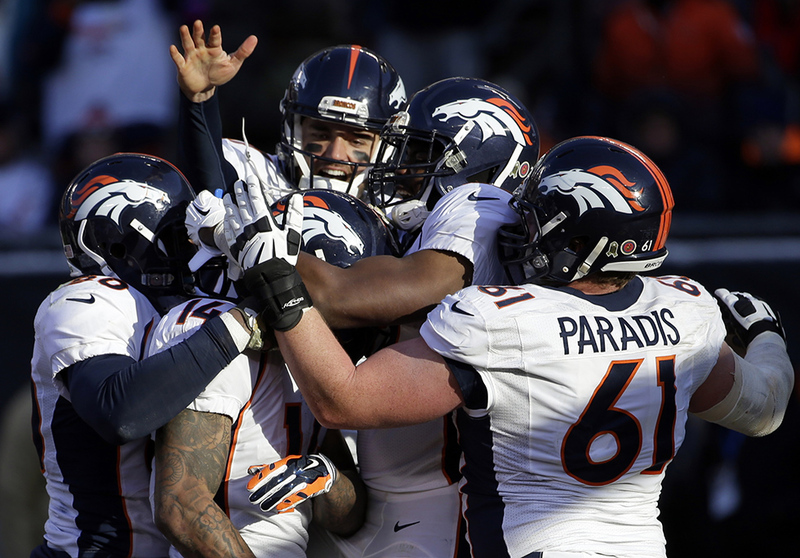 The Denver Broncos players celebrate a touchdown by wide receiver Cody Latimer (14) during the second half of an NFL football game, Sunday, Nov. 22, 2015, in Chicago. Behind Latimer is the Broncos quarterback Brock Osweiler. With Manning recovering from injury, fourth-year quarterback Brock Osweiler makes his first of seven consecutive starts and leads Denver to a 17-15 win at Chicago against former Head Coach John Fox.